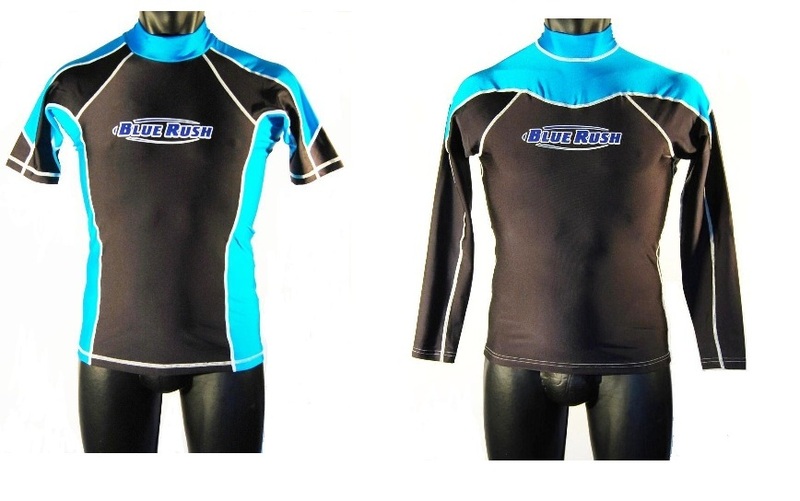 Designed to be worn under a wetsuit for comfort and warmth our rash vests are stretchy and lightweight. 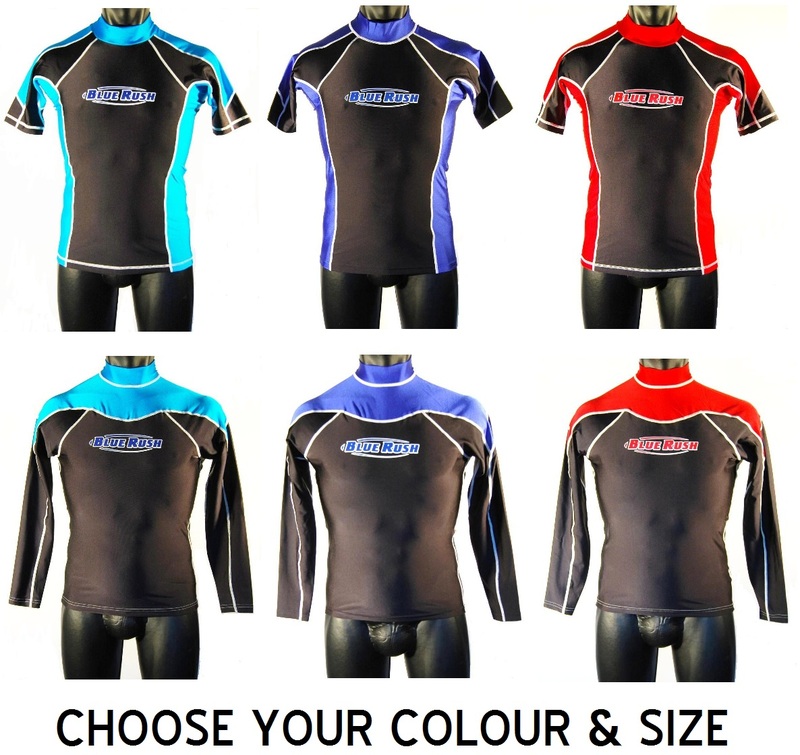 Rash Vests are equally suitable and indeed very popular for wearing both in and out of the water over swim wear or with board shorts. Make your selection from the drop down box. Also available are rash vests to suit Ladies, Juniors and Infants. Rash vests are made from fast drying nylon/lycra (82% Nylon 18% Spandex) and are lightweight and flexible. Our Blue Rush UV Rash Vests provide UPF50 (Ultraviolet Protection Factor) giving maximum sun protection (on covered areas) both in and out of the water.